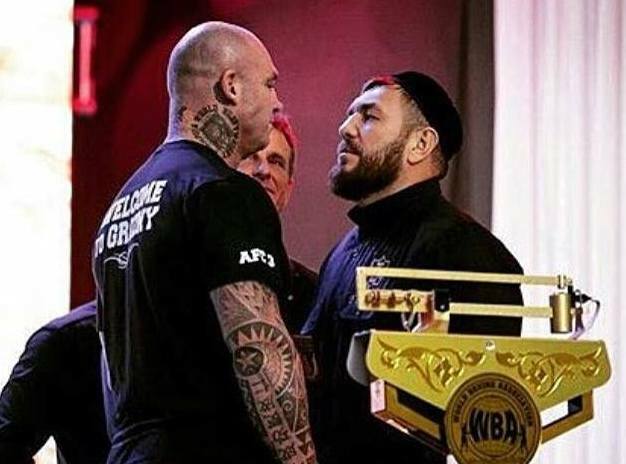 The heavyweight division could see another shakeup tonight if Lucas Browne dethrones WBA World Heavyweight Champion Ruslan Chagaev in Grozny, Chechnya, exclusively live tonight on BoxNation. Syndney’s hard-hitting Browne, a big favourite with BoxNation viewers’ in the UK, aims to make history and become Australia’s first ever world heavyweight champion and progress into the next stage of the WBA’s title reshuffle tournament to define one world champion in the organisation. At 36, the Ricky Hatton promoted Browne is undefeated in 23 fights with 20 knockouts, 11 coming inside three rounds, and the former nightclub bouncer, who once dodged a bullet while working on the doors, will not be fazed going into Chagaev’s Gronzy battleground – listed as one of the world’s most dangerous cities. Chagaev, from Uzbekistan and based out of Germany, was a top amateur who twice beat Cuban legend Felix Savon, the three-time Olympic Gold Medallist, in three of their meetings in the 90s. Now a professional for almost 20 years, Chagaev has a record of 34 wins, two losses, one draw and 21 by knockout and is into his second reign as WBA king. His only two losses were against then unified world champion Wladimir Klitschko and Alexander Povetkin for a vacant world title. He’s in hot form as well, coming off a first round stoppage of Fransesco Pianeta last July and aims to defeat his undefeated rival. Boxing fans can enjoy this amazing card on AWE available on AT&T U-Verse, ch 147 and 1147 in HD, Verizon FiOS TV, ch 169 and 669 in HD, CenturyLink PRISM TV ch. 144 and 1144 in HD, and numerous regional cable providers across the nation. Please check www.awetv.com for boxing updates.